NH Jury board member James Davis heads up this first-ever panel on some of 2015’s hottest activism – jury nullification. 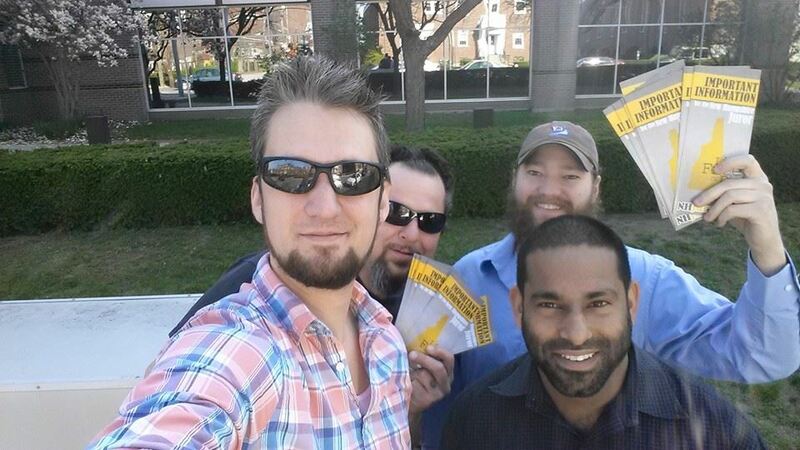 Nullification outreach has taken off this year, spreading from Keene and Grafton to six other locations across the state. Where do we go from here? Panelists to include Rich Paul of the Church of the Invisible Hand, Cathleen Converse who successfully nullified charges against a cannabis grower, Derrick J Freeman of Flaming Freedom, and Ian Freeman of Free Keene. Keenevention is Hallowkeene weekend, October 30th through November 1st. Tickets for the third-annual Keenevention are just $60 or BTC for the whole weekend, including the Hallowkeene costume dance party! Pre-event ticketing is limited to 100, so lock yours in now. Stay tuned to the Keenevention blog for more announcements. You can also follow the new Keenevention Twitter, Keenevention’s facebook page and join the official facebook event here. Randy Clemens is a new mover to New Hampshire as part of the Free State Project. Prior to moving here, he’d never heard of Jury Nullification. Now he’s an active part of the new outreach project happening at Strafford superior court in Dover, NH. Randy is also known as “The Sriracha Guy”. Here’s his blog on this week’s successful and first-ever jury outreach in Dover. If you want to join in the fun, please join the New Hampshire Juror Outreach group on facebook. You’re out on a leisurely walk in the city one day, simply going about your business and keeping to yourself, when… crap! People handing out informational literature. Uggghh. Don’t they have anything better to do? You’ve clearly spotted them and worse yet, they spotted you spotting them! Good luck escaping their tractor beam now! You briefly consider reaching for your cell phone to pretend to take a call, but it’s too late. It’s clear that there’s no way to weasel out of accepting their disruptive pamphlet, so you force a polite, acknowledging smile, or construct a curious, inquisitive glance as you take the propaganda from their outstretched hand, feigning interest juuuuuussstt until you’re out of their field of view (probably), at which point you can safely discard whatever it was they were peddling without looking like a terrible, close-minded person. 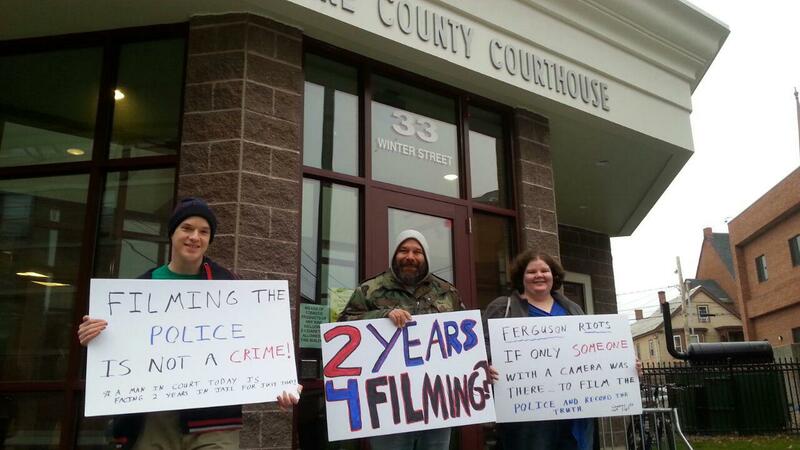 Jury activists in Manchester are regularly performing NHJury.com outreach in front of Hillsborough superior court. If you’d like to join them, or organize outreach for your county, please join the New Hampshire Juror Outreach group on facebook. 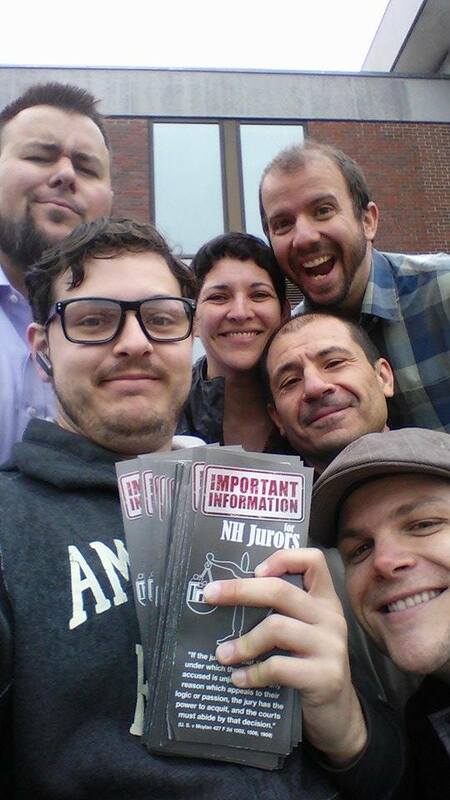 As part of NHJury.com’s new mission, we’re reaching out to help educate legislators about Jury Nullification. To that end, board members Rich Paul and I went to speak with the NH house judiciary committee on a recent bill regarding expanding protections to a jury nullification defense, HB 246. Though it is said that man cannot live by activism alone, Rich Paul is making the attempt. Please support him by sending him a tip via paypal or bitcoin at address 1NgtySdrkjvkism44TwXZ1kxnXdrPtCdcc. What are you doing on a bright Monday morning? Grabbing that coffee before work? Sleeping in on your day off? Turning out to inform scores of jurors of their right to nullify bad laws? If the last one sounds like your morning, odds are you turned out to jury nullification outreach in Manchester, New Hampshire. Every other week, a band of dedicated activists shows up and passes out literature informing jurors of their right to vote “not guilty” in order to nullify bad laws. Dozens of citizens participate as jurors as part of a required “civic duty.” Unfortunately, all too often jurors end up sending their fellow citizens who have never hurt anyone behind bars, feeling they have no choice but to convict of a victimless “crime.” As it turns out, in New Hampshire the rights of jurors to vote “not guilty” and nullify bad laws is well-protected, even though few jurors know about this right. That’s why it’s imperative to make time to get out there and inform jurors. It’s one way we can make a difference. It could save someone’s life. It’s a few minutes out of your morning. All you have to do is show up with a smile on your face and pass out informative literature. You have everything to gain. What do you have to lose?